I knew this was going to be a hot give away. JAM pedals are awesome. Delay pedals are awesome. 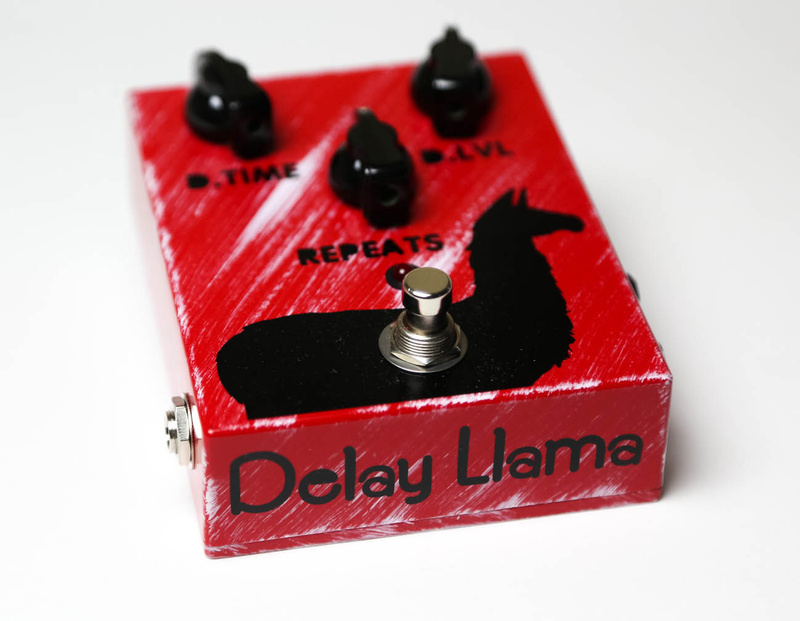 The JAM Pedals Delay Llama is doubly awesome. If you’re a fan of that analog delay tone, look no further. This is the pedal. As I stated before, I did not want to give this up, it would definitely have a home on my board. Based on the shear number of entries for this give away, it was obvious that you wanted in on the action. I totally get it! But, the give away came to an end and I picked a winner! I would like to first say thank you to JAM Pedals for their generosity! Please take a moment to follow Jam Pedals on Facebook, Instagram and Twitter! Without further ado, the winner of the JAM Pedals Delay Llama is Jimmy S. of Ocala, FL. Congrats Jimmy! The pedal will be shipping out. Additionally, there will be a pair of 8″ Flex Patch cables from Rattlesnake Cable Company! Please let us know what you think of it when it arrives! I have another great give away on deck.. so be sure to keep your eyes out for it! Custom 77 King for a Day Booster – Give Away!